1.) Human nature. Most human beings (even introverts like me) need and even prefer face-to-face interaction with other human beings. If I were looking at a product and had questions, I would much rather speak to a person who can give me direct answers than go through a FAQ form online. Plus there is the added perk of demonstration. Although our culture and continual improvements and advances in technology insist there are better ways to market a product, or even do business, nothing can replace the value of interpersonal relationships. 2.) Social media can’t replace the real meeting. Social media can add to the experience of face-to-face marketing but can never replace it. You can tweet and post updates to your status on Facebook or LinkedIn until you’re blue in the face, but again the human nature to want to socially interact in person will override the urge to confine your content via social media. Social media sites are very valuable tools to promote, communicate, and even give details about certain information before, during, or after a show. In fact, I would encourage their use in your marketing endeavors. However, talking to someone through a post versus to their face is an entirely different experience, and could cost you a sale. 3.) You need to see it to believe it. Ever try to watch Star Wars on the radio? You can’t! You have to see it! This holds true for demonstrating or selling a product, and for people you meet with. You can’t emote or promote trust, confidence, or our own credibility electronically. Sure you can become an expert blogger (present company excepted), send social media updates and share your knowledge, but the person on the receiving end is missing the interpersonal element. Your own body language, tone of voice and other key components in an exchange can’t be translated via your cell phone or computer. Your prospect may want to “touch and feel” your product and see live demonstrations. It’s tough to touch a product through a screen. 4.) Trade shows tell your story. In a trade show environment there are visual “road maps” that your prospects must navigate through in order to learn more about you. More importantly, they need to learn why they need to do business with you. In our experience, the exhibit must tell a story and relate to a need for a prospect. The key ingredient here is not just the exhibit itself, but the staff manning the booth. They are there to interact face-to-face with potential customers, and if they’re doing it right, the visiting prospect will be engaged and want to connect with them further. 5.) You have a captive audience at a show. It’s happening NOW. The non face-to-face meeting may or may not happen in the future. Messages or emails can be delayed, or that person you need to follow up with may be on vacation and your message may not get through when the time is right for the proper interaction. The distractions that can “dilute” your message may be enough for your prospect to think about you later. 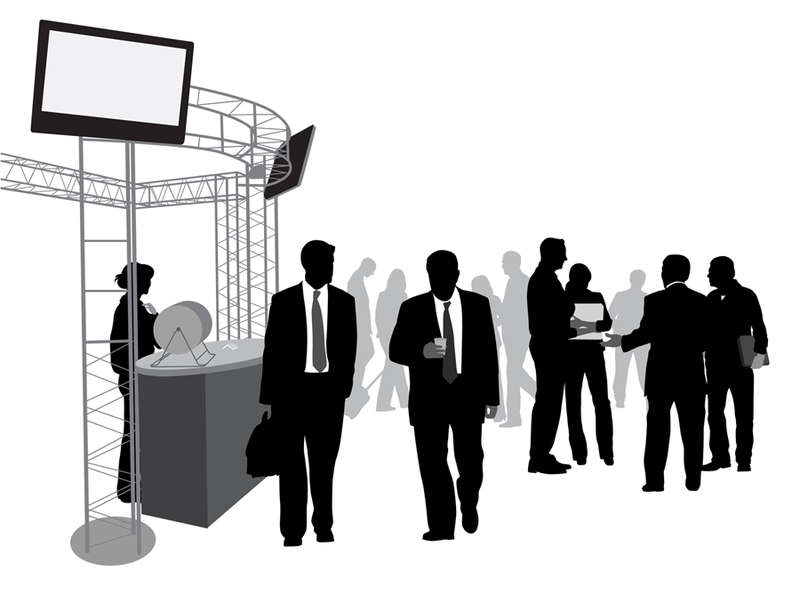 If you’re “in their face” at a trade show it’s easier to keep their attention. Where else will a concentrated number of buyers or influencers be available to you? 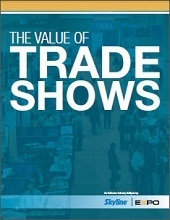 The overall trade show landscape has changed in the past decade or so. Social media is a powerful tool to promote and communicate but the “human element” of the trade show environment is one that can’t be replaced. It is still one of the most cost-effective marketing mediums there are, not to mention the most personal and effective. We all know it’s less costly to close a sale on the show floor than it is through traditional sales calls. These reasons are why trade shows will continue and progress and companies who use them to their advantage and educate themselves in the industry will prosper. About the Author: Mark is President and CEO of Skyline North Exhibits. With over 18 years experience in the trade show industry his primary focus is to help clients achieve the results they need from their trade show programs as well as providing trade show exhibits in Buffalo, Rochester, Syracuse, Albany, and Northern New England. Skyline North is a full service exhibit design, manufacturing, and service facility located in Rochester, NY.